There are some days when you just crave warmth and simplicity of a good old fashioned analog synth drone. Analogs have been getting a lot of attention in certain circles lately, but usually for the raw, blippy tones they give to dark wave revival acts. Bitchin’ Bajas takes another approach, smoothing out the sawteeth and extending songs to single-chord, multi-toned sunbaths. 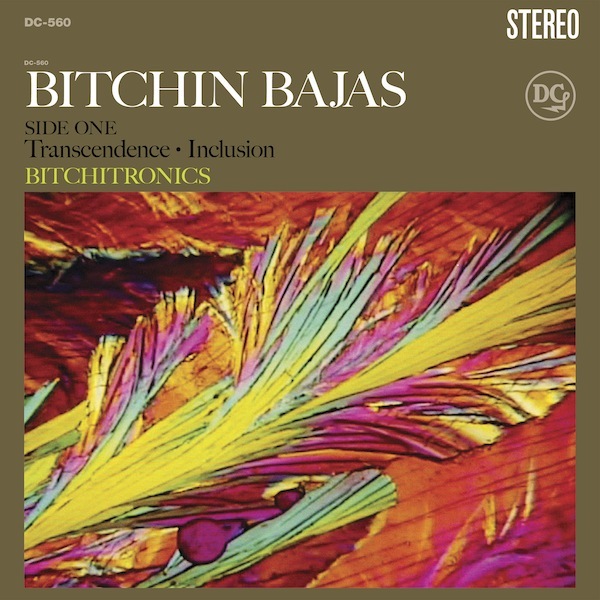 Bitchin’ Bajas, the project of CAVE‘s Cooper Crain, gets further in touch with the experimental 1970s roots that his main group channels, but where CAVE dabbles in surging Krautrock/motorik, Bitchin’ Bajas is a soothing, Eno-esque dronefest. The best part is that the Bajas don’t seem to take themselves too seriously — a downfall for too many mid-century abstractionists. Without a name like Bitchin’ Bajas, an album called Bitchitronics (out July 16 on Drag City), and a teaser trailer featuring a “sultry” Latino voice, it would be too easy to fall into the same category as, say, a track off Sounds of the Zodiac: Celestial Counterpoint with Words and Music, which isn’t a bad record, but nearly a parody of itself. Instead, check out Bitchin’ Bajas’ “Sun City” below, along with the teaser trailer for Bitchitronics below, and be happy that you don’t have to consider a dissertation on its merit in the modern art world instead. This entry was posted in Tracks, Videos and tagged Bitchin' Bajas, CAVE, Drag City by Brandon. Bookmark the permalink.